Many problems with moss on roofs in Milton Keynes are caused by the damp climate. This can have an adverse effect on a roof and it creates the perfect conditions for moss, algae and lichens. This can lead to a number of problems that can be expensive to rectify. The build-up of moss on a roof not only looks unsightly but can cause damage to the structure of the roof and damage the roof tiles. 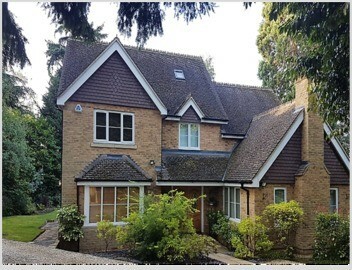 Roof Cleaning and Roof Tile Sealing and Roof Moss Removal can transform your property and makes a significant difference in the visual appeal of residential and commercial premises. We can help as we provide a professional roof cleaning and roof moss removal service in Milton Keynes. Smartseal have a network of professional registered contractors who have extensive experience in roof cleaning and roof moss removal throughout the Milton Keynes area. All the companies we work with are experienced and are fully backed by public liability and employer liability insurance. By working with a Professional Roof Cleaning & Roof Restoration Company who are a'Smartseal Registered Contractor' you have the peace of mind of knowing that you are dealing with a locally based roofing company who have a proven track record in the industry. We have a network of independent 'Professional Roof Cleaners' operating throughout Milton Keynes. They are trained in the use of our products and provide a full range of roof cleaning and restoration services. To help you obtain a competitive quote up to 3 Registered Contractors will be given the opportunity to submit a quote to undertake the work. Our Registered Contractors are Independent Businesses, who should at all times conduct themselves in a professional and responsible manner to reflect the good name of Smartseal UK Ltd. 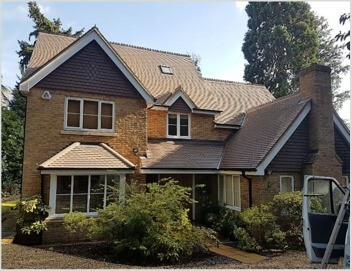 If you live in Milton Keynes and would like a FREE no obligation quotation to clean and protect your roof then call us now on 0800 849 9498 or complete our enquiry form and we will get things organised.